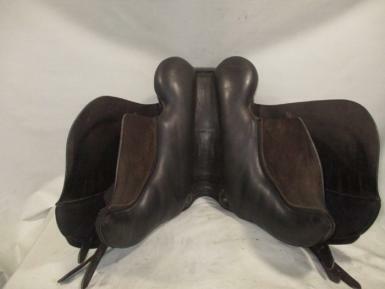 A full leather saddle made in England. 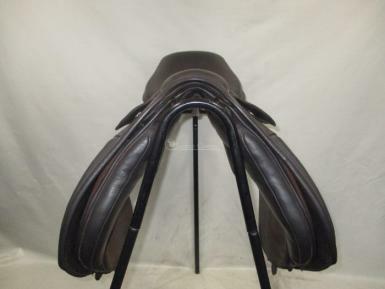 Low profile/cob model designed for low withers and wide flat backs with compact low profile flock filled panels, adjustable girthing, multiple girthing options to suit your horses girth line, and a changeable gullet system using Thorowgood short bar gullets with gullets available out to a very generous XXW fit. (similar to 3xw or 4xw in other brands). Currently fitted with a wide/xwide gullet, we can change to suit. 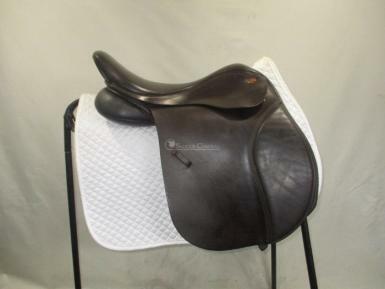 A super versatile saddle, a semi deep seat with velcro to attach knee blocks. 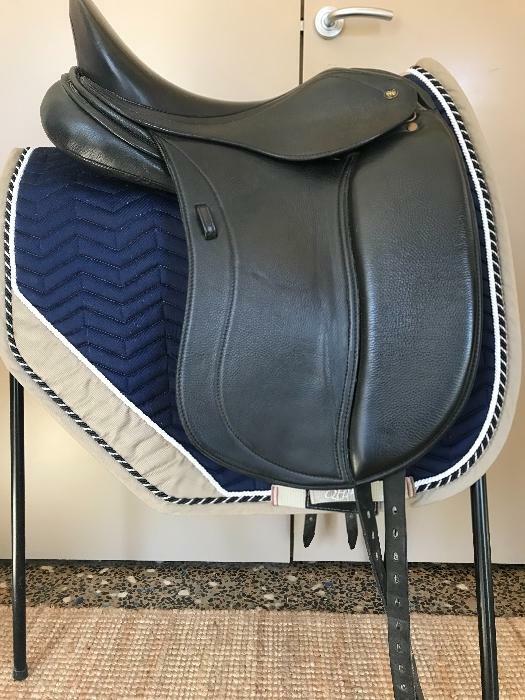 ( no blocks included) Suitable for flat work or jumping. 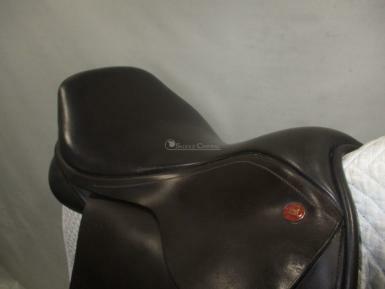 Saddle Condition: stitching, girth points, tree all good. 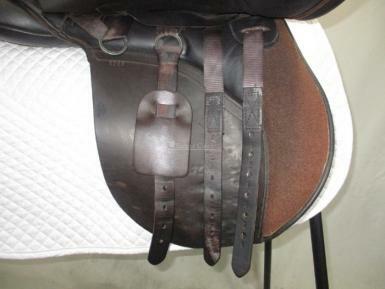 Wear/Damage: scuffs on the corners of the cantle, some scratches on the pommel and usual signs of use under the strirrups. No knee blocks.